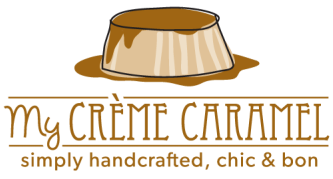 "The creme caramel was amazing. The custard had a very smooth texture and it exploded in flavour. It was more flavorful than any egg custard dessert I have ever tasted. I normally find caramel too sweet for my liking, but that caramel was perfect..."
"I have tasted these delightful madeleines made by Chef Chantal and they are heavenly!" "Chantal’s truffles are truly amazing, the best I have yet tried in Toronto. I highly recommend for you to try them!" "Thank you for the exquisite truffles..."
"I was delighted when a friend brought me a wonderful claffouti made by you... It was delicious, just the right amount of sweetness... Everyone enjoyed it and complimented on it"
"the absolutely divine truffles were a both delightful surprise and delicious"
"Your Cremes Caramel are just amazing...."